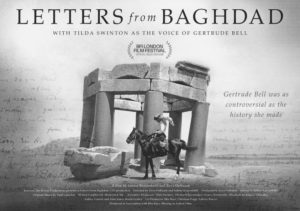 Letters from Baghdad – the much acclaimed feature-length documentary film about Gertrude Bell – can now be seen in UK and US cinemas. 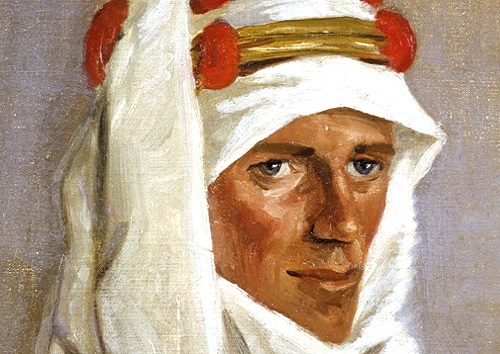 travelled widely in Arabia before being recruited by British military intelligence during WWI to help draw the borders of Iraq and shape the modern Middle East. Using stunning, never-seen-before footage of the region, the film chronicles her extraordinary journey into the uncharted Arabian desert and the inner sanctum of British colonial power. What makes the film stand apart is that the story is told entirely in the words of Gertrude Bell and her contemporaries, excerpted from their intimate letters, private diaries and official documents. For information on the film and upcoming screenings, please visit www.vivaverve.com or www.lettersfrombaghdad.com.